For eighteen years and counting, Amellar has remained committed to its advocacy in helping local governments realize and achieve greater financial independence, administrative efficiency, better public service, and global competitiveness through E-Government. Apart from delivering ICT solutions to LGUs, Amellar also recognizes the role of strong leadership and IT champions in reaping the benefits of the E-Government reality. 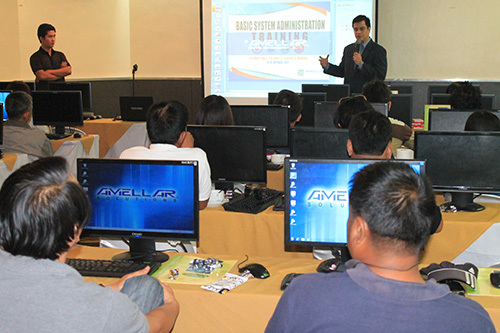 In the effort to empower and equip local governments’ IT champions with the proper skills and knowledge in achieving such goals, Amellar conducted a Basic System Administration Training on October 8-10, 2012 at Greenhills Elan Hotel Modern, San Juan City. 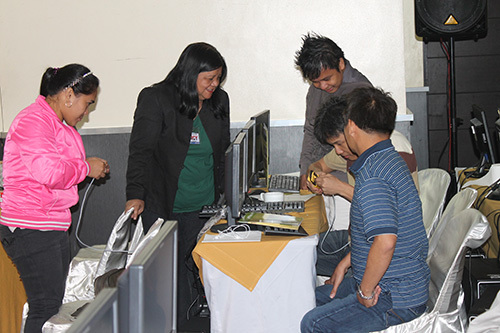 Attendees of the training include the System Administrators from the Municipalities of Angono, and Rodriguez, Rizal, the Municipality of Aparri, Cagayan and the City of Calamba. The three-day training consisted of lectures, presentations and hands-on exercises on topics designed to provide System Administrators with both hard and soft skills they need to execute their specialized tasks. The training includes modules on (1) Overview on System Administration; (2) Change Management and Customer Service; (3) Local Taxation Principles; (4) Hardware and Local Area Network Administration; (5) Installation of Oracle and Objects, Amellar Applications, web-based and server-based FTP; (6) Basic Database Administration; (7) Overview of Systems, Utilities and Reference Tables (aRPTAs©, aBPLS©, aRCs©, aSREs©, aEPs©, aPMs©, aTRs©); (8) Reports Conversion; (9) Data Query Module; (10) System and Data Troubleshooting; and; (11) Technical Support Request Procedures and Orientation on web-based Amellar Transaction Request System, or ATRS. On the last day of the training, guest of honor and Amellar founder, Mr. Manuel Tabunda, addressed the trainees on his journey in advocating E-government. Mr. Tabunda also imparted the high rewards waiting not only for LGUs but also for their respective System Administrators as they invest their time and effort in the implementation and proper maintenance of ICT projects. Right before the awarding ceremony, Mr. Cris Padilla Tagle, Chief Technology Officer, introduced the iLead, Amellar’s newest application which allows for real time generation of reliable management straight from the LGU’s revenue generation systems. Mr. Tagle expressed his hope of equipping every System Administrator with the said application to empower local executives and managers in making fast and more sound decisions for the benefit of their constituents. 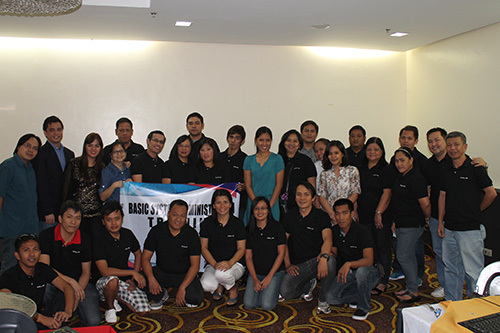 The Basic System Administration Training was facilitated by Cris Padilla Tagle, CTO; Zaidi P. Ong, Jester E. Erestain, Senior Partner Support Specialists; Cristina C. Boneo, Precious O. Maiquez, Partner Support Specialists; Allan L. Javier, Software Development Manager; Randy Juan D. Sanglay, RDBMS/R&D Manager; and; Arjun C. Advincula, Hardware and Network Engineer.